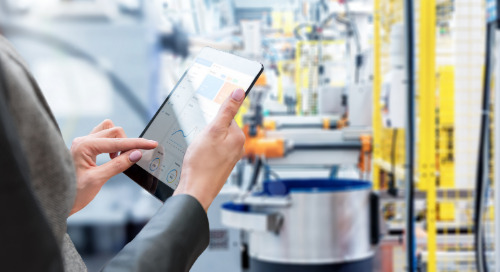 Let’s consider sources of business value that motivate an industrial organization to take advantage of the opportunity and act on a combined strategy for EHS and quality: connected EHSQ management. Within such an Operational Excellence framework, a combined approach to EHS and quality management — connected EHSQ management — offers an excellent opportunity to create business value. 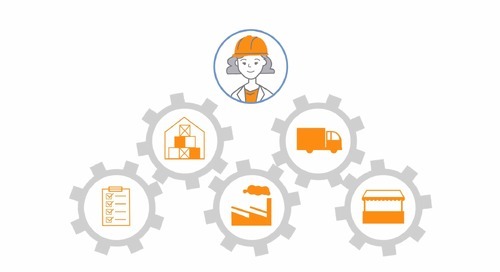 A company maximizes the potential value of connected EHSQ management when the EHS and quality business functions join forces around strategic alignment, value chain integration, and process optimization. Process standardization represents fertile ground for efficiency gains across processes common to EHS and quality management, such as audit, incident, risk, corrective action management, and many others. Industrial Transformation leaders should keep in mind that connected EHSQ management doesn’t necessarily equate to integration of information technology systems. Integrated technology will likely play a key role, but only as a means to achieve an aligned strategy and enable harmonized management systems. Value drivers are capabilities that ultimately add value to the products and services a business delivers to customers. They are the means to help a company differentiate itself in the market. Integrating EHS and quality management can have impacts beyond the individual functional domains in terms of productivity, efficiency and effectiveness in operations. 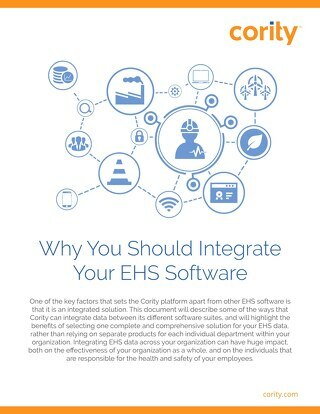 For example, LNS Research data show that companies with interoperability between EHS and quality software systems have 14% higher overall equipment effectiveness (OEE) than those without it. Safety, environmental, and quality risks are often interrelated across the overall operational management system, and as a result can be better managed with a unified risk framework. For example, unplanned downtime due to a safety concern can adversely impact scrap and rework. Our research shows that organizations with integrated EHSQ management systems have higher adoption of risk management best practices, e.g., the ability to identify risk factors across operations (45%), and the ability to track mitigation of risk factors across operations (34%), compared to those without integrated EHSQ management systems; 28% and 22% respectively. We see similar advantages in adoption of compliance best practices. Where bottom line cost reduction is concerned, the benefits from a connected EHSQ approach accrue from automation of consolidated processes, faster and more accurate reporting, and availability of improved insights to optimize resources across formerly siloed domains and how they interact with core value chain operations. It can also enhance critical financial metrics. Our data shows that companies that have integrated their EHS and quality management systems have 1% lower cost of poor quality, translating to margin improvement on the order of 8% in a typical large enterprise. In cases where information technology systems can be consolidated, lower total cost of ownership helps on the cost side of the equation. Beyond cost reductions, a combined EHSQ strategy can also contribute to top-line growth. EHS and quality requirements and issues are intertwined throughout the value chain from ideation, research and development, procurement, manufacturing, supply chain and end of product life. Each domain can have a direct impact on innovation cycle times, access to markets based on product compliance, and time to market. With a connected, collaborative approach, a company can amplify these benefits to increase market share and drive profitable growth. A connected EHSQ management strategy can help position a company for competitive advantage in its market, even if such benefits can't be precisely quantified. For example, a combined and more effective risk management approach should better safeguard operations, the supply chain, and reputation. These benefits go beyond ensuring license to operate; it protects and enhances brand value. It means a company can build a reputation as a responsible business partner, create opportunities to increase market share and customer lifetime value, and more readily secure strategic partnerships. 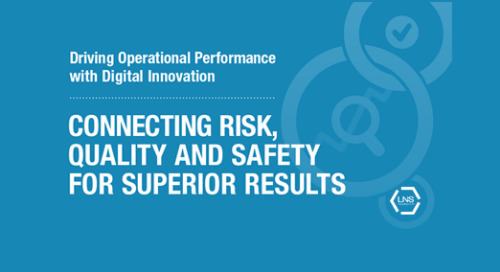 Internally, connected EHSQ management can drive positive culture change initiatives with a unified approach to “culture of quality” and “culture of safety” initiatives. 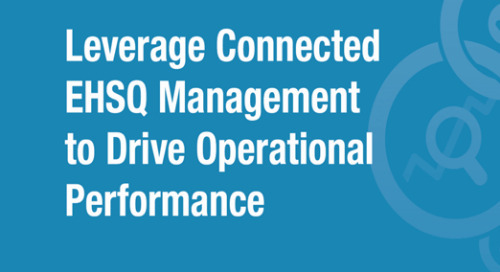 Is Your Company Ready for Connected EHSQ Management? 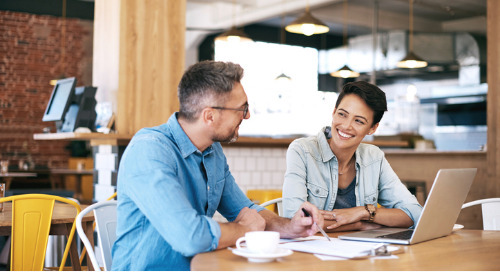 Even if there’s a strong business case for connected EHSQ in your organization, it doesn’t necessarily mean it’s the right time to implement. It is fundamentally a change initiative. As such, success will depend on the right combination of planning, execution, and proactive change management. 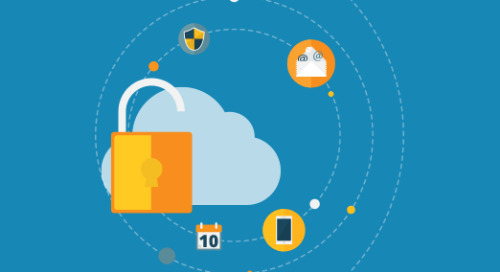 Key considerations for readiness include many factors such as risk profile (largely dependent on industry sector), relative maturity of current EHS and quality management systems, executive sponsorship, IT policies and landscape, organizational culture and change capabilities, resource availability, and many others. 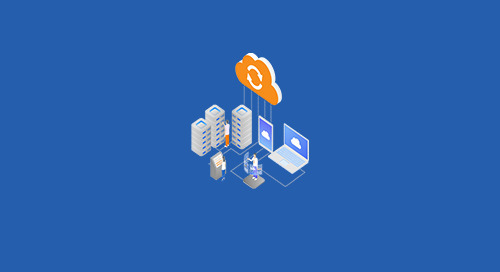 The journey to connected EHSQ management is different for every organization. There is no “one-size-fits-all” solution, and careful planning and execution across people, process, and technology capabilities is required. However, the return on investment may well be significant. We recommend that EHS, quality, and operations leaders view this an opportune time to explore the possibilities.